Build a plant filled space that improves your life. Grow your own food, purify your air, increase your mental well-being. Engineers, Scientists, Celebrities and Everyday people love the AEVA and what Just Vertical is all about! Hear their stories and why they think everyone should have an AEVA in their home. See where we got over 800 shares of our feature article. Talk about people loving it! We are a science powered team of young whiz kid farmers, designers, and managers out to make the world a better place. Our co-founders Conner and Kevin met while doing their Master of Science degrees at the University of Toronto where they realized we need to make a change! We know the world needs more food, but importantly it needs better food. We set out to take on the challenges of sustainability, fresh food, and modern living by building a system that grows more food, faster, using 99% less water and no pesticides. What makes us unique? Is that we do this in a single beautiful system that not only fits in your home but makes it a better place to live. Herbs, leafy greens, not-so-leafy greens, tomatoes… you could even take a crack at some strawberries. 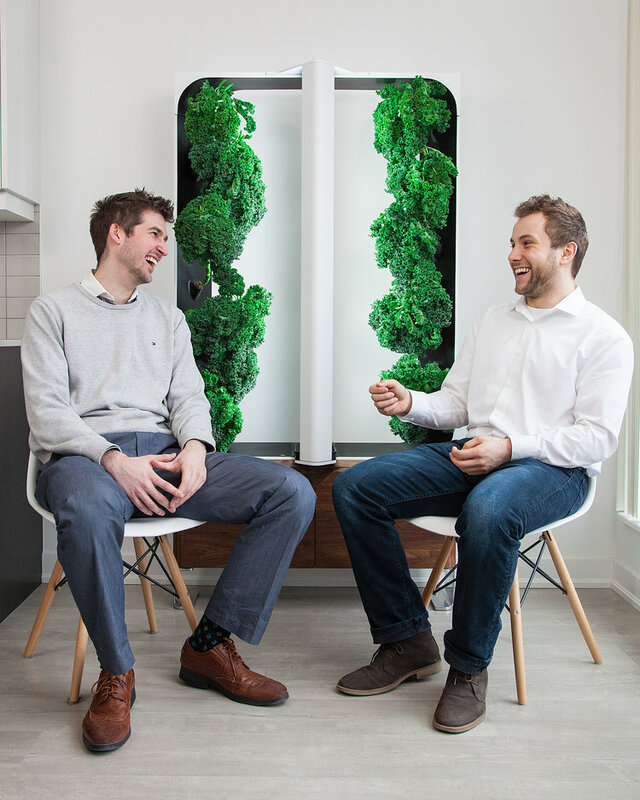 The AEVA is designed to grow up to $125 worth of produce each month from the comfort of your home. We can send you everything you need from seed pods to nutrients. 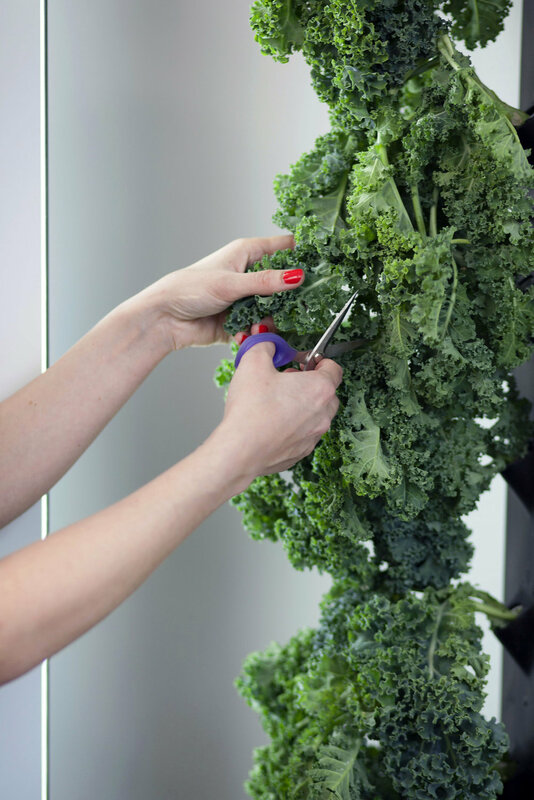 We’ve crafted produce packages that taste fantastic together, and also thrive when grown together. 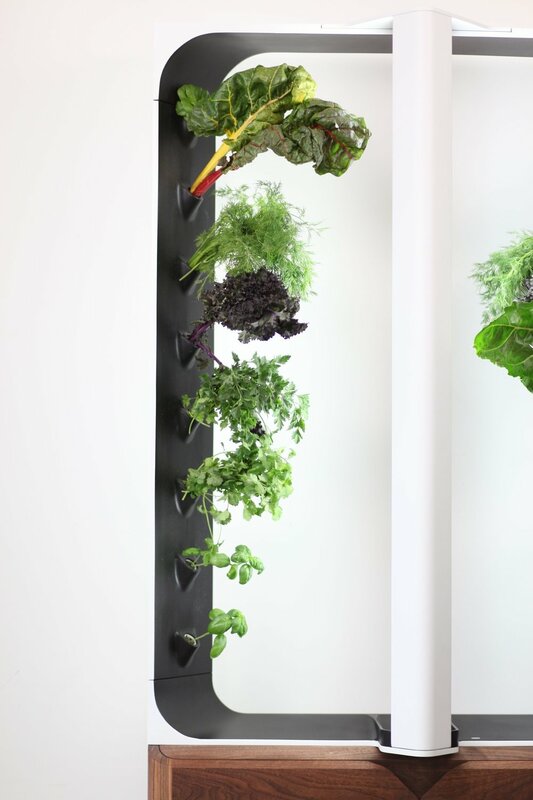 The AEVA is designed to grow up to $180 worth of produce each month from the comfort of your home. New technology can be daunting. Will it work? What if I don’t know how to grow food? Don’t you worry we have figured out all the science to make it work. We GUARANTEE you will grow like a pro! Interested in a custom build that will save your business both money and waste? Your customers will love knowing the delicious produce you serve them was grown feet away from their table.